Mito is the capital of Ibaraki Prefecture in central Honshū. Situated on the Nakagawa river, the city developed with the construction of a castle by the Daijō family in the Kamakura Period (1185-1333). Later, under the rule of the Edo and the Satake families, after the Battle of Sekigahara (1600), it became the castle town of Tokugawa Yorifusa (徳川頼房, 1603-1661), the eleventh son of Tokugawa Ieyasu (徳川家康, 1543-1616), the founder of the Tokugawa shogunate. The Mito Domain flourished throughout the Edo Period (1600-1868) as the base of one of the collateral (御三家 gosanke) families of the Tokugawa and was noted for its capable daimyō, such as Tokugawa Mitsukuni and Tokugawa Nariaki. 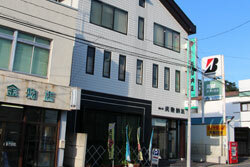 It was also, somehow paradoxically, the centre of a pro-imperialist school of learning, the Mito School (水戸学 Mitogaku). Local products include flour, tobacco, and nattō (納豆, fermented soybeans). 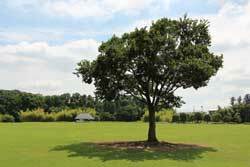 One of the Three Famous Gardens of Japan. Visit Lake Semba, the Kobuntei and the Tokiwa Shrine. 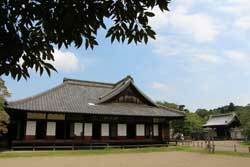 The domain school for children of Mito samurai, established by Tokugawa Nariaki in 1841. 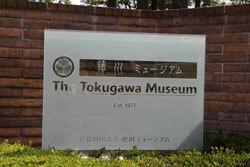 Displaying artifacts of the Tokugawa family; a special exhibition is devoted to Mito Kōmon. 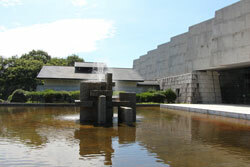 Focuses on the history of region, from early civilization to modern times; located close to Kairakuen. 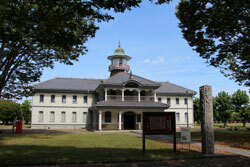 Mitsukaido Primary School, constructed in 1865, was one of the first Western-style school buildings in Japan. 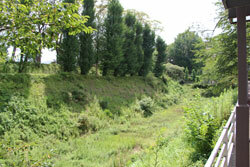 Mito Castle, close to the Kōdōkan, was decommissioned in 1871 and totally destroyed in World War II. 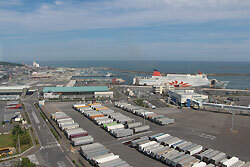 Marine resort and port: Aqua World, Bakumatsu Museum, Waku-Waku Science Museum, Marine Tower. 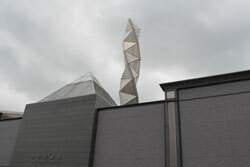 Opened in 1990, ATM serves as a centre of modern art. Spectacular: its 100-meter-tall metal tower. Small exhibition on the history and production of fermented soybeans by Tengunatto. By train: Mito is about 120 km from Tokyo. You can reach it on JR Joban Line (常磐線) from Ueno Station, Tokyo. Mito-Komon's grave in Mito, Ibaraki Prefecture.